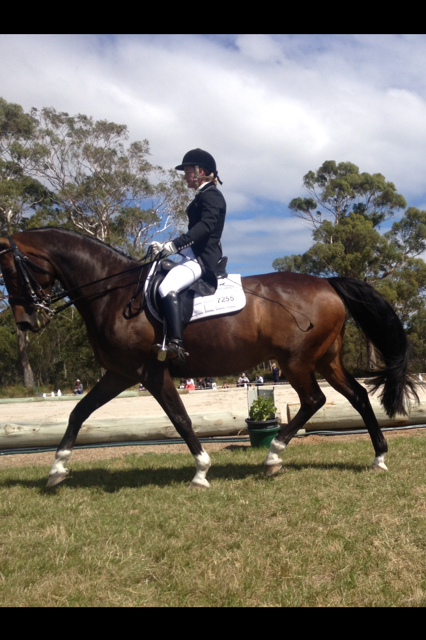 "Meagan has been massaging all my competition horse who complete at FEI dressage and young thoroughbreds who are re trained as eventing (competition horses). I have found Meagan to be very professional, always punctual and easy to get in contact with. 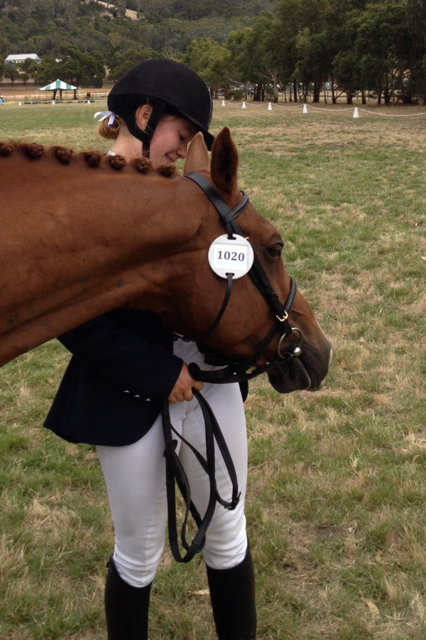 As a competition rider it is essential all my horses are physically fit and free of pain. Meagan has helped in the maintenance with the high work load my FEI dressage horse and with injury and or stiffness in all my horses. Meagan has always made herself available and often at short notice if any horse had a problem and then had to compete the next weekend. She also helped with the general maintenance of my top dressage horse leading up to the Tasmanian Dressage Championships, where he ended up Advanced Champion. I highly recommend Meagan in this profession and will continue to use her as part of my horses training and wellbeing program." "Meagan Sommerville has been massaging my 13yr old, 17 hh thoroughbred for the past few months. He has been off the track since he was nine and went straight into work as an all rounder, showing, dressage and jumping. I found that since Meghan had been massaging him his flat work defiantly started to improve which helped with the rest. He is softer through his back and neck, and started to get a real spring in his step. She has always been punctual and was really good fitting me in, I work long days and she was happy to work with me to find a time that suited me and her. She was always kind to Pirate and never rushed though, took her time and treated him as if he her own"
"Meagan’s approach has greatly benefited my horse, keeping him fit and supple throughout a demanding eventing season. Beneficial for loosening up before dressage as well as reducing any stiffness after cross country. Massages have also helped him recover faster from injuries. 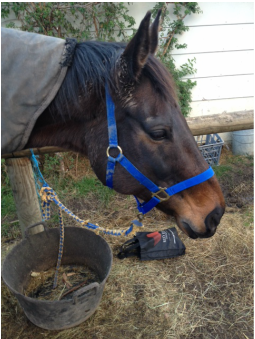 After falling over in the paddock one day I thought I was going to need to call the vet because I was worried about how stiffly he was moving through his stiffle but Meagan was there by that afternoon and had him much more comfortable after a single session. He ended up making a quick recovery with regular massage sessions, no big vet bills and was ready to compete again within a week! Meagan’s technique is effective while being gentle rather than forceful. Even my most sensitive mare will stop jumping around and swishing her tail for a massage!"